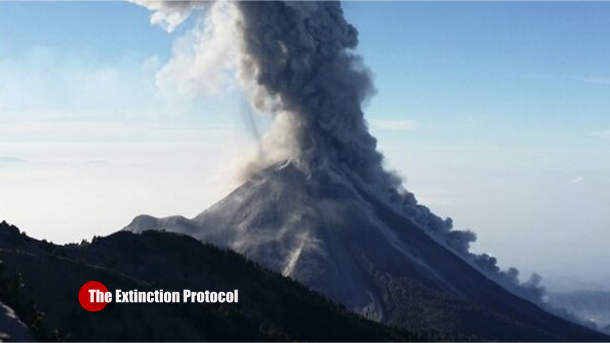 August 2015 – MEXICO – The Colima Volcano sent smoke and ash three kilometers into the sky in a series of eruptions during the weekend. There have been more eruptions at the Colima Volcano this week, sending ash and smoke more than three kilometers into the air. Also known as the Volcano of Fire, it has been active since July 9, when ash falls forced the evacuation of several communities a few days later. This entry was posted in Earth Changes, Earth Watch, Earthquake Omens?, Environmental Threat, High-risk potential hazard zone, New volcanic activity, Potential Earthchange hotspot, Prophecies referenced, Seismic tremors, Signs of Magnetic Field weakening, Tectonic plate movement, Time - Event Acceleration, Volcanic Ash, Volcanic Eruption, Volcanic gas emissions, Volcano unrest, Volcano Watch. Bookmark the permalink.